Sensory play is so much fun! 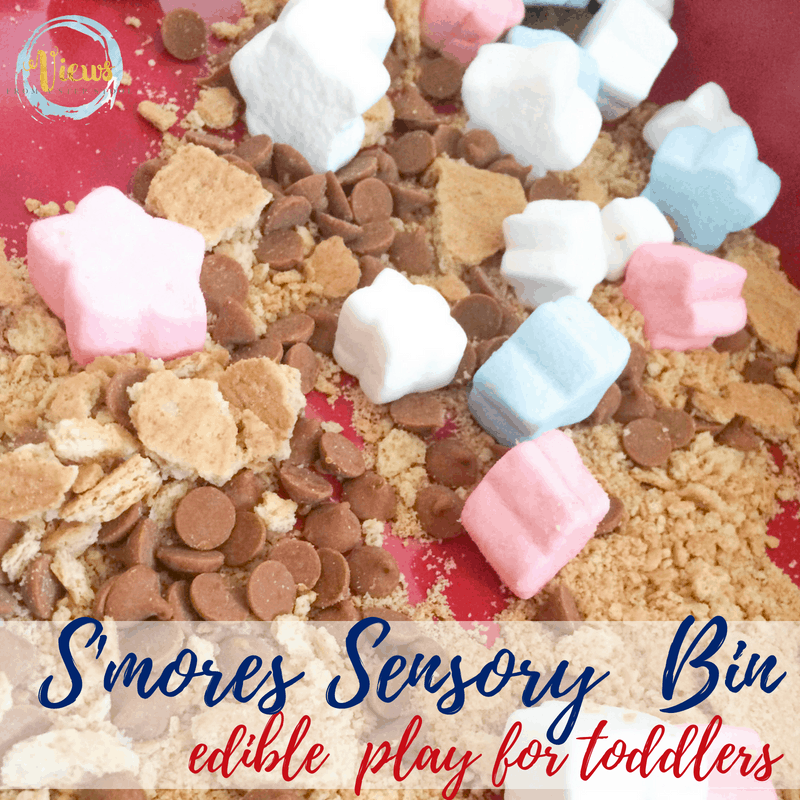 It can often be difficult to find sensory bin materials that are appropriate for young children, particularly those who like to put items in their mouths. 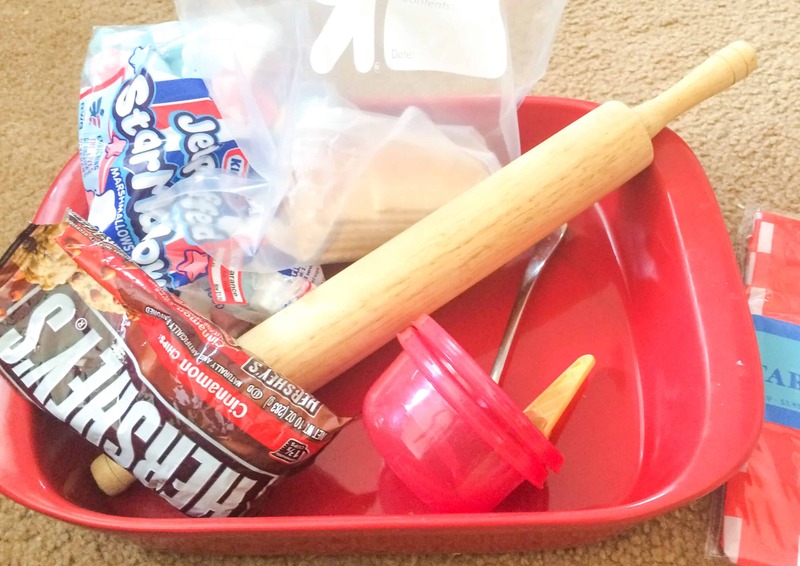 This s’mores sensory bin is perfect for some pretend camping or as a summer play idea! Check it out below. As part of our indoor camping week, we had S’mores day today! 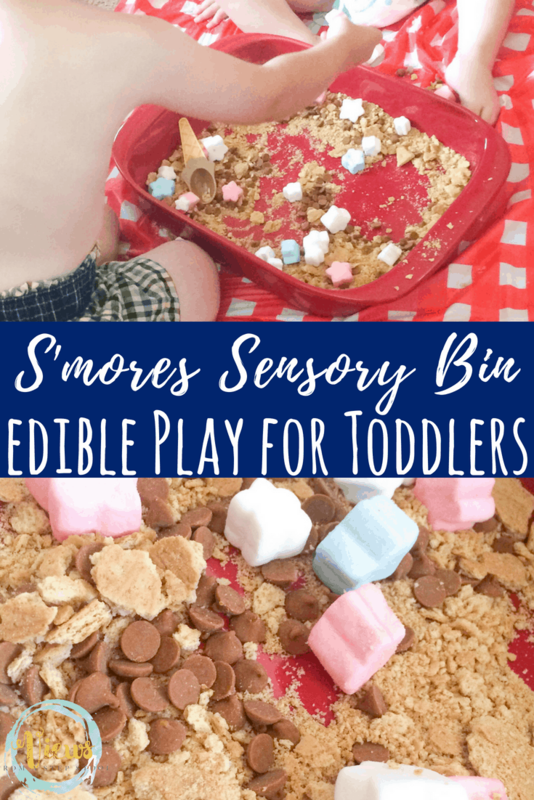 We painted with S’mores ingredients, made this sensory bin…and of course ate S’mores! To see how we set up our indoor campsite, click here. I just used shaped marshmallows, graham crackers and chocolate chips so that it was entirely edible (and tasty)! Although Ava (11 months) has gotten better at not eating sensory ingredients I like to give her the chance to explore with as few limits as possible, so if she wants to taste something I let her taste it! 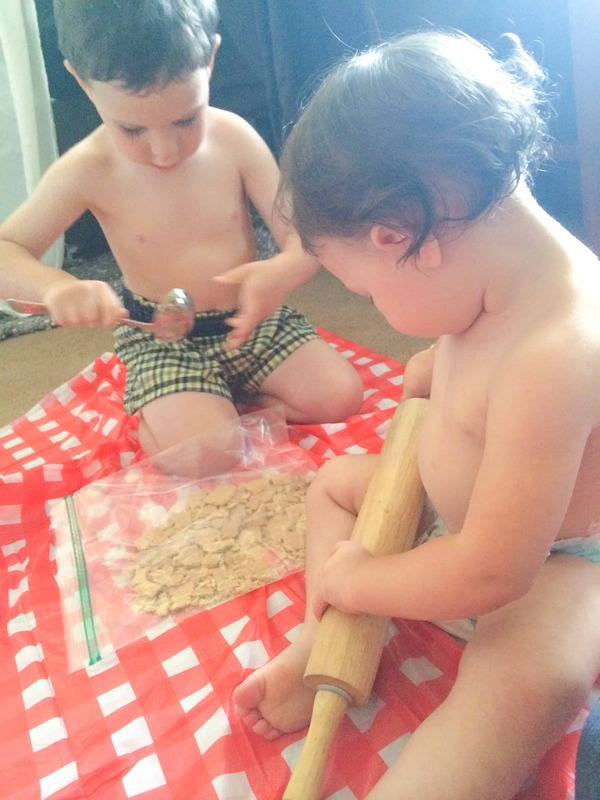 We started by smashing the crackers with spoons, rolling pins and our hands. Both of the kids loved doing this! 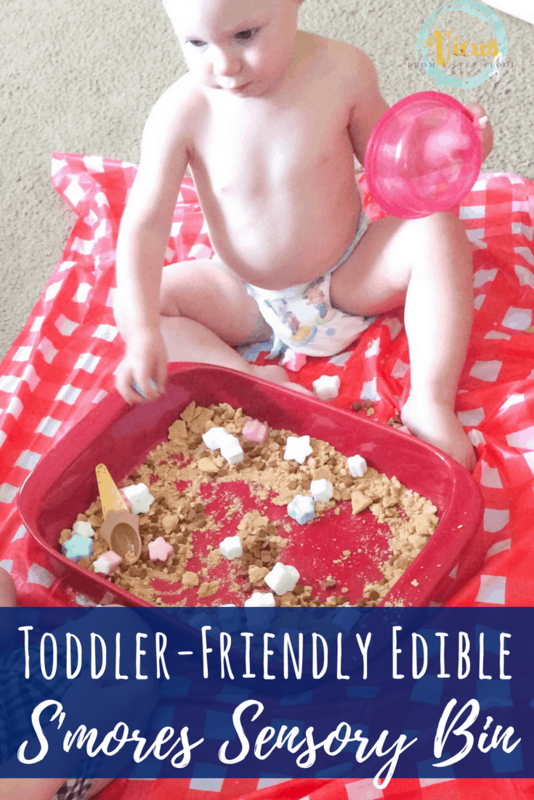 Such a great gross motor activity for toddlers. Next, we assembled our bin and played! Scooping marshmallows into bowls was a favorite activity. We watched some camp songs onYou Tube while we played. The Learning Station has great themed music! 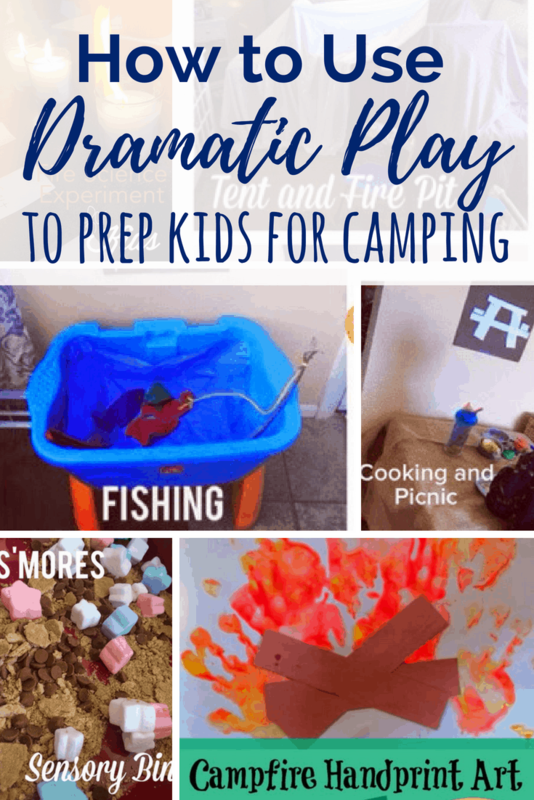 See more indoor camping activities and camping books!